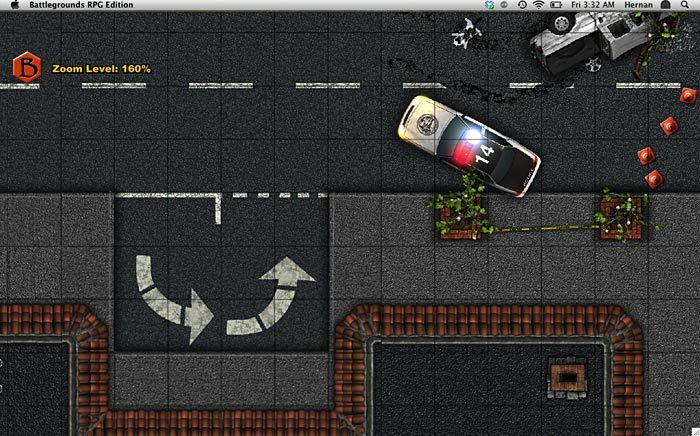 This free artpack for BRPG contains 44 unique map tiles (6x6 squares each) for creating layouts of modern-day streets. All of the tiles have been resized for use in BRPG (to 122 pixels per square, so that they won't pixelate even at full zoom). 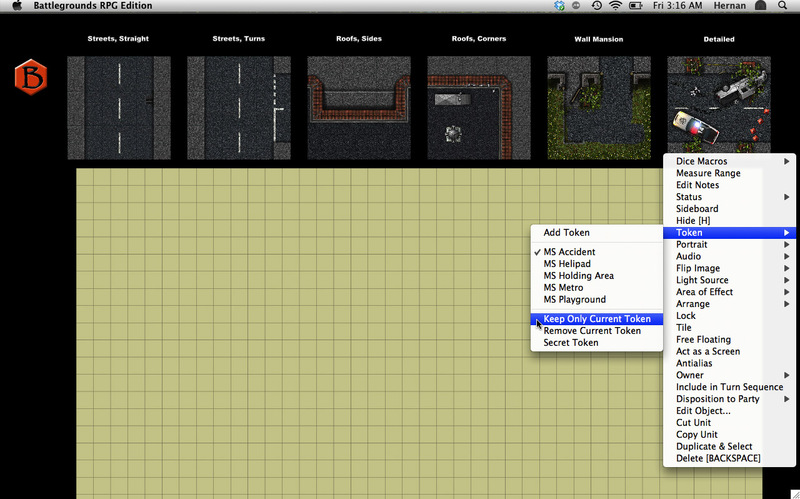 The tiles have also been renamed and organized into easy-to-use categories, for faster mapping. Also included in the download is a Unit Palette (see the next post), for faster layout. The Unit Palette is available in both Encounter and Deployment format. Here are some pictures to give you an idea of what the tiles in this artpack look like. Click on the images to view them at full size. This is a convenient set both for GM's who like to improvise on-the-fly and those who like to create elaborate layouts well ahead of game-time. The Unit Palette included in the above download is intended to make the process of creating layouts with the artpack much faster and easier. BRPG v1.6m or higher is recommended in order to use this Unit Palette to its full potential. Load the included Encounter file. This will automatically load the relevant Media Asset Bundle (which contains the rendered text labels). The Encounter will present you with a blank map canvas, with the Unit Palette located just above the map. 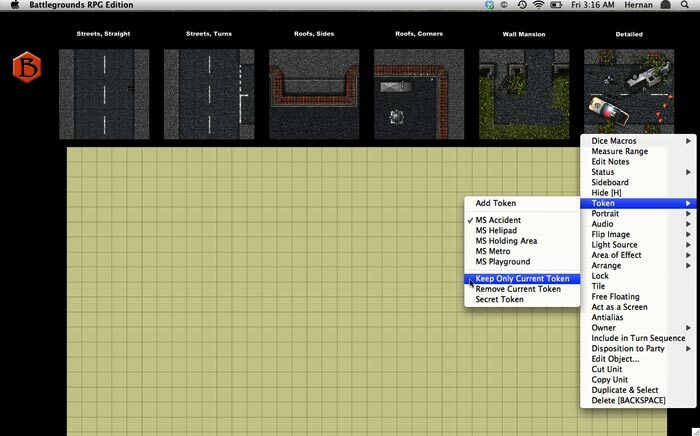 Simply copy a unit from the palette that you wish to place on the map, paste it to the desired spot on the map, and then use the token-swapping hotkeys to select the exact token you wish to use. When you are satisfied with your token selection, select the "Keep Only Current Token" command from the unit's contextual popup menu. After fine-tuning the exact placement of the unit on the map window (and perhaps adjusting the stacking order of the unit using the Unit Manager), you will probably want to select the "Tile" command to lock the unit in place and force it to be drawn underneath the grid overlay and figure bases. Terrific! Since I play mostly modernish superhero stuff, I will make very good use of this!!! Thanks for this great art pack. One problem I have noticed is that my players cannot extract this using Win7/8's OS zip extractor. It has a folder named '.' (sans inverted commas) as its root folder, with the correct subfolder. It can be opened in other extractor programs, however, I don't know if all can. It certainly comes up as an empty zip file in the Win7/8 OS extractor even though the file is 44.7 MB in size. I just created and uploaded a new Zip file. Can you ask the people who were having trouble unzipping the original file to try again with the new file? Please let me know if it works now, as I don't have a Windows PC handy today to test it myself. Could you please let me know if the new files unzipped properly? I'd really like to know if this issue is resolved or not. I just downloaded this and it looks like the standard Windows decompression routine sees this as an invalid zip file as well, with no files in it. I used WinRAR, however, and it unpacks just fine with that. This looks like a great pack, BTW, so thanks for sharing!